Despite the name Dealers Casino , this online casino offers a lot more than just live dealers and roulette games. Dealers Casino offers their players access to over 175 different slots games in all imaginable themes and designs from the biggest suppliers in the online casino industry. Dealers Casino is a fairly new online casino and has only been on the market since June 2016, however they have already managed to obtain licenses with both the Malta Gaming Authority as well as the UK Gambling Commission. 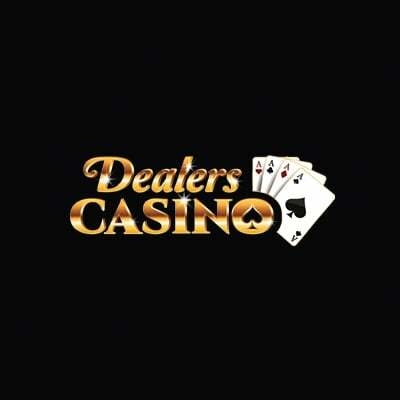 In the following review of Dealers Casino, we have looked at how Dealers Casino measures when it comes to their promotions, game selection, payment methods, website design and customer support. We can already say now that this online casino passes the test with top grades for most of the reviewed criteria and features on the site. The online casino uses HTML5 which guarantees the user a state-of-the-art casino experience, whether you are playing the traditional casino games like roulette or the newly developed slot machines that offer high quality when it comes to design and user-friendliness. Dealers casino offers a rather generous bonus of 200 spins upon your first deposit, which we deem very fair since the minimum deposit is only €/$/£10. The perfectly attractive welcome bonus from the casino can be used on some of their most popular slots like Starburst, Astrodice and the newly developed Spinata Grande. If you are more into the traditional casino games, you will also be able to use the match up bonus on games like Roulette, Blackjack and Baccarat. The 100% match up on your first deposit can be used on all slots and traditional live casino games, such as roulette, blackjack and baccarat. The 200 spins are given upon your first deposit. After submitting the first deposit you will immediately receive 20 spins to one of their popular slot games such as Starburst, Twin Spin or Fruity Friends. The following 9 days you will receive 20 spins each day upon logging in to your player account. This way you are guaranteed free spins, fun and hopefully at lot of winnings within your first period of playing at Dealers Casino. As mentioned before the online casino offers a lot more than just live dealers. Dealers casino has a variety of exciting and interactive video slots provided by some of the top suppliers from around the globe, such as NetEnt, Microgaming, NYX, Neogames, Play´N GO and more. At the casino you can enjoy the old classics as well as several new and exciting titles which are just as interesting, or even more, than the traditional video slot games. Furthermore, the collection of games is constantly updated to keep the online casino interesting for you as a player. They update their selection with 2-5 new games a week, which means that you will always be able to find an interesting slot game, even if you are an experienced casino player. Most of their slot games offer an RTP (Return to Player) of 93-98 %, which means that your winning changes could not be much higher. If you want to see the RTP percentage of your favourite game, this information is conveniently found in the game’s information section while the game is open. Due to the extensive collection of different casino games suppliers, the placement of the information may vary. As a conclusion to our review of Dealers Casino we can fairly say that the online casino is exceptional, they offer a great variety of games and not only the classic roulette, blackjack and baccarat games. It is indeed possible to find an enjoyable new game to play even for the most experienced player. 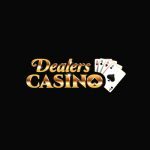 When we tried out Dealers Casino, we received the welcome bonus without any kinds of trouble and in general you will not run into any issues when dealing at Dealers Casino due to their consistent focus on security and fairness for the customers. We wish you the best of luck while playing on the Dealers Casino online gambling platform!